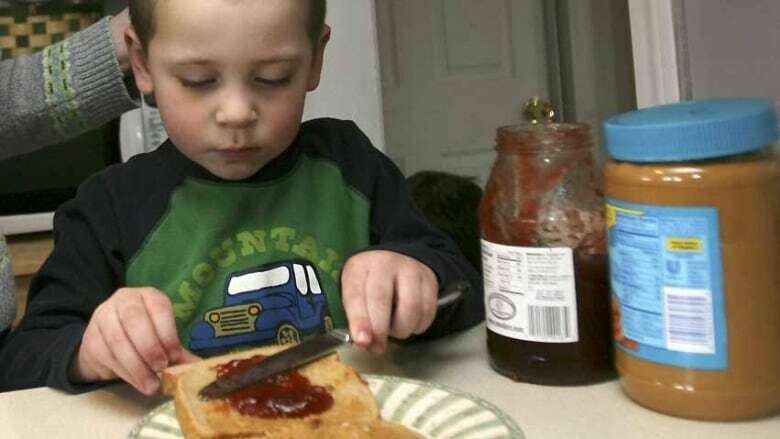 Parents of babies at high risk of developing allergies are now officially advised to offer foods such as peanut butter, milk and eggs at about six months of age, the Canadian Paediatric Society says, adding that babies who are ready for food sooner can start as young as four months. The recommendations are based on a shift in thinking on when to introduce common allergy-provoking foods. "There has been a sea change in our profession," said Dr. Elissa Abrams, chair of the society's allergy section. The previous recommendation to avoid such foods was based on the thought that people become allergic through the digestive tract, which needs time to mature. "We now have learned that allergies develop through the skin. We now have studies that show that eating early is preventative. And we now have actual, real live experience that when these guidelines came out recommending avoidance, allergy rates actually inadvertently increased. So the old guidelines weren't effective." Babies are considered at high risk for food allergy if they have a personal history of eczema, or a parent or sibling with allergies. If the eczema is severe, the U.S. National Institute of Allergy and Infectious Diseases advises parents to seek medical advice before introducing potentially allergy-provoking foods. Otherwise, parents and caregivers are advised to offer common allergens one at a time to check for any reaction. If so, they should consult a primary care provider about next steps. In contrast, when all is well at the first exposure, parents should continue to offer the food a few times a week to maintain tolerance. The decision about when to start solids is based on developmental readiness, such as having good control of their neck muscles and showing an interest in food. Babies who are not considered high risk should start trying foods at about six months of age. In August 2018, Abrams published a study based on a survey of responses from 80 allergists, 170 pediatricians and 206 family practice physicians in Canada that pointed to knowledge gaps and barriers to early peanut introduction. "Although most family physicians/pediatricians recommended that allergenic solids be introduced at age six months to less than one year … most allergists recommended introduction at age four to less than six months for egg, milk, and peanut," she wrote. 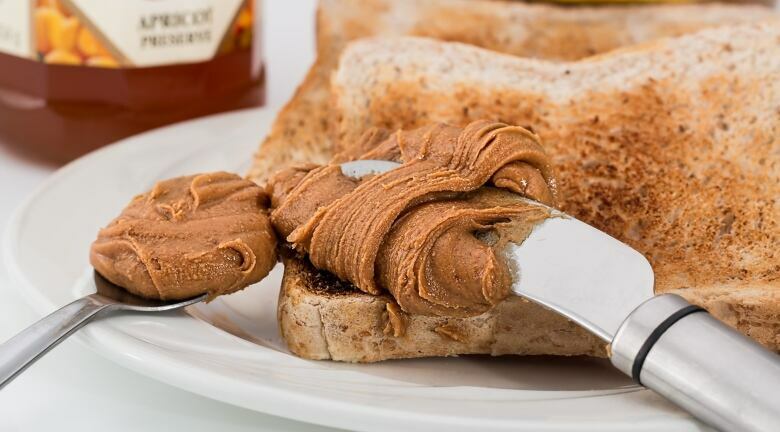 For young infants new to solids, the society recommends diluting smooth peanut butter with water, or mixing it with a previously tolerated pureed fruit or vegetable, or breast milk. If a baby has an older sibling with a food allergy, there are safe ways to expose the baby at home, such as using soap and water to remove peanut allergen from surfaces, Abrams said. Jyoti Parmar is a mother of three children in Thornhill, Ont. Two of them have serious allergies. Her son Sahil is 14 and, with exposure therapy, he's now able to safely eat two peanuts a day. 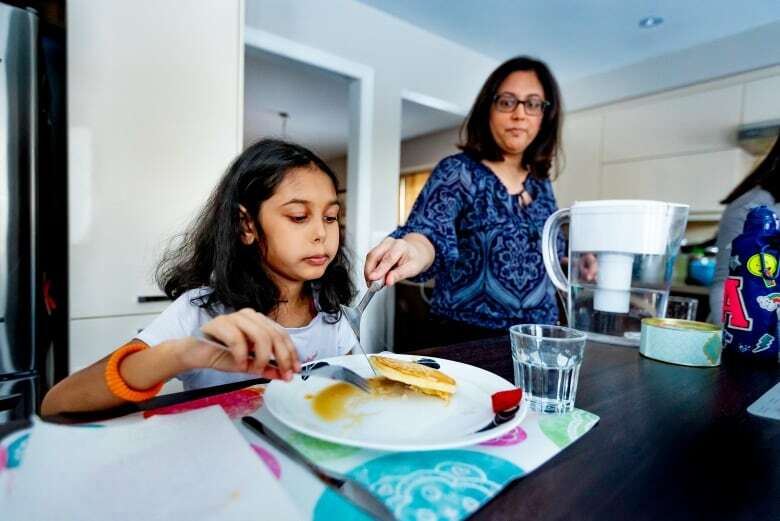 But her nine-year-old daughter Jaya is allergic to peanuts, tree nuts, milk and eggs — allergies Parmar wishes could have been avoided altogether had the new guidelines been available when Jaya was a baby. Instead, the family was told to avoid allergens until two or three years of age. "It affects every facet of our life," Parmar said. "I'm happy that new parents get that chance to prevent food allergies but in my own life it's upsetting." For babies, the society also recommends continued breastfeeding up to two years and longer because of its health benefits.